A general purpose tool used for positioning all types of action springs. Hook is polished steel, handle is 2" long and plastic. 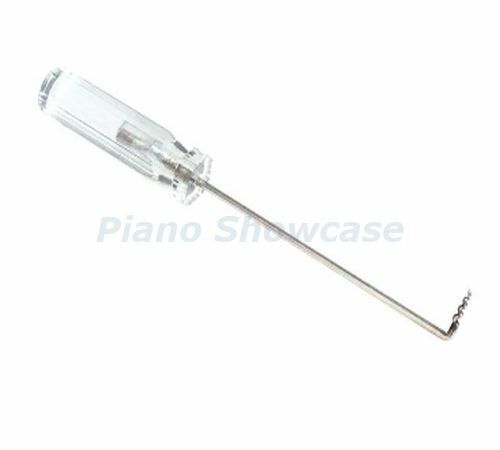 This was my first purchase from Piano Showcase, and I am very pleased with their customer service and speed of delivery. I lost my original spring hook and have tried to make due with improvised substitutes. What a relief to finally get this simple but vital replacement.